It is time now for another edition of Anime Remix Japanese Culture Edition. Now, your probably wondering who this lovely little lady above the video is. 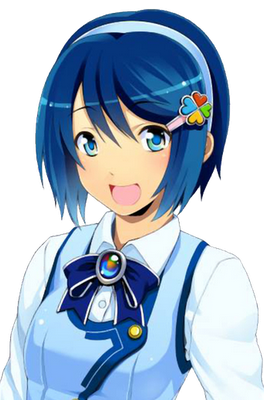 Well for those of you who don’t know, this is Nanami Madobe the Japanese mascot for Windows 7 (AKA:WINNDOWS SVN!!!!). Sorry to make fun of her, it just fun to say it that way. But getting back to business, the following video features Nanami working as a computer store clerk showing viewers how to build there own pc’s with Windows 7 (WINNNDOWS 7: come on, you have to admit that is funny!!!!!). But just a word of caution, she does go a little fast during the assembly part, but she slows down during the features segment. But overall this is a very interesting video and I hope you guys enjoy it. Take care and I will talk to you guys again soon. Ltrs. And one other thing:WINNDOWS 7!!!!!!!!!!! LOL!!!!! Anime Full Circle by Andrew L. Budny is licensed under a Creative Commons Attribution-Noncommercial-No Derivative Works 3.0 United States License. Afc Question Of The Week!!!! AFC Weird Video Of The Week!!! !